Happy New Year everyone! Hope your holidays were fabulous! Here's my last monthly recap for 2011. It's a long one. I read more than expected due to the fact that I was on vacation for over a week and just relaxed. Some of those reads are short, but I did manage to get in some full-length novels in there as well. One of my top reads for the month made it to my top ten favorite reads for the year, one was an honorable mention, and the other two were read during the last week of the year! I ended the year with a bang, just the way I like it. 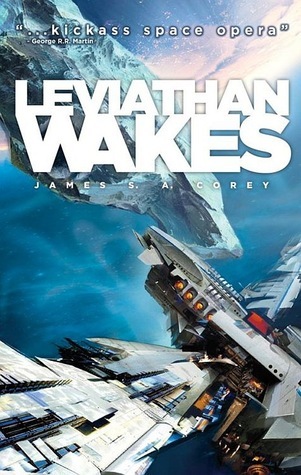 Leviathan Wakes! Yes! This is a science fiction opera with all the action and science fiction details any reader would expect of just such an endeavor. Yet for me, the characters in this fantastic space adventure are the ones that lifted it from being a just another tale about ships and chases through the stars. Miller, the pulp fiction noirish style, cynical detective, obsessed with finding one girl and relentless in his pursuit. And, Captain Jim Holden a rather naive, gung ho Captain with a rag tag crew who in his pursuit of revenge finds a truth bigger than the known universe. A mystery/thriller in space with amazing characters and fantastic science fiction details. What else can a geeky girl like me ask for? This book made it to my top ten favorite reads of 2011. I love Chris Owen's writing style and own this series. Unfortunately, I "DNF" (did not finish) this book the first time I tried reading it a couple of years ago. 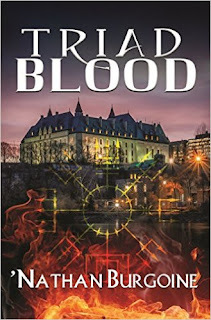 I know a lot of readers love this series, so I decided I would try it again and finish it this time. Frankly, I had the same reaction this time and for the most part the book seems rather clinical and flat, lacking real emotion and passion. At least that's the way it read to me. I didn't connect with the characters at all. However, this time I continued to the end. There does seem to be a bit more of an emotional connection between the characters on that last third of the book, but by that time it was a bit late for me as a reader to connect with them. Obviously this book/series is not for me. And one lonely DNF (did not finish): I usually don't include DNF's with my list. However in this case I wanted to give the book a chance and read over half of the book before simply realizing that the book is just not for me. That's it for December! I'll be writing a few reviews for my December reads. We the Animals by Justin Torres was a huge surprise and one that I'll be talking about. The Proposition by Judith Ivory was a delightful read full of mustaches, legs, ferrets and some wonderful characters. Drown by Junot Diaz is a fiction book I read for my Internet Book Club, and of course there's Jo Goodman's first contemporary romance, A Place Called Home, and Jacquelyne Frank's paranormal romance, Adam -- the last book of her Nightwalkers series, #6. Did you find any gems in December? I'm with you about Three to Tango. It was ok. I think my expectations were a little high, because it was such a great collection of authors in one book, but none of the stories really stood out for me. I LOVED Josh Lanyon's story in The Art of Dying! Something about Finn really resonated with me. His Lone Star was good, too. But, while I usually like Harper Fox's stories, Winter Knights was an odd one for me. In December, I had 1 A/5✭ read: Elizabeth Hoyt's Scandalous Desires I've been loving the Maiden Lane series, and this was the best, so far! Happy New Year Hils! You did finish 2011 with a bang :) I must admit to loving Winter Knights. Unfortunately, I fell madly in love with Art & Lance, so was in floods of tears at the end of the book! Looks like December was awesome for you! and I always love how you read so much so across the board! Iím glad you enjoyed it too! You know? In Three to Tango, I enjoyed Holly's contribution the most, and it wasn't her best. And if I really concentrate, I still remember Dirty/Bad/Wrong by Dane... so a bit memorable, but the other two stories were really forgettable for me. They were okay for the moment. The Art of Dying was a great surprise for me. I really enjoyed the mystery and circumstances in that novella, plus the characters and atmosphere were excellent. The romance worked too... :) JCP's story was also a solid installment. Orannia, Fox continues to come up with some good stories. I'm so glad you enjoyed Winter Knights so much! Art & Lance were great characters... I think of them as finding their "forever HEA." Kind of wonderful, right? I'm bummed you didn't enjoy the Susan Andersen more, but I get why. My re-read of Howard's Son of the Morning was as wonderful as the first time I read it. I want to read Detours but am waiting for the best ebook deal. Oh, I think you're going to enjoy Detours! That is such an enjoyable book. Plus, Ricker is a dog lover... lol... he included a little darling in this book. The Hunter? Mmmm... I really loved the premise, but I struggled to get through half of the book and truthfully don't know why, except that everything just seemed flat to me. There was something missing, and after about two weeks of trying to read it I gave up. Maybe you'll enjoy it more than I did. Let me know. 2011 Moments and Final Recap! Happy New Year! 2012... Yikes!